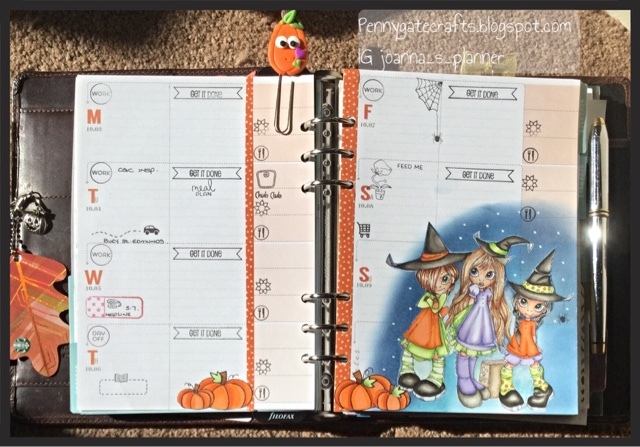 Decorative Planner Stamping - Halloween - Which Witch is Which? 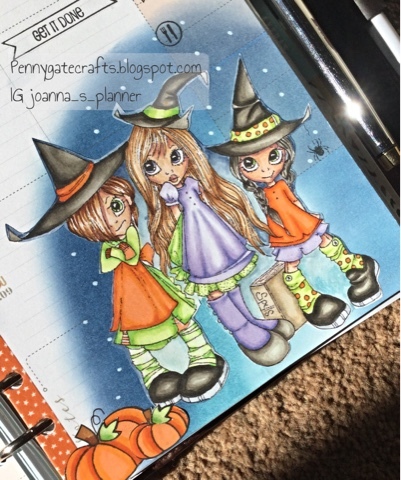 Decorative Planner Stamping - Jo Whight - Halloween - Which Witch is Which? At last.... 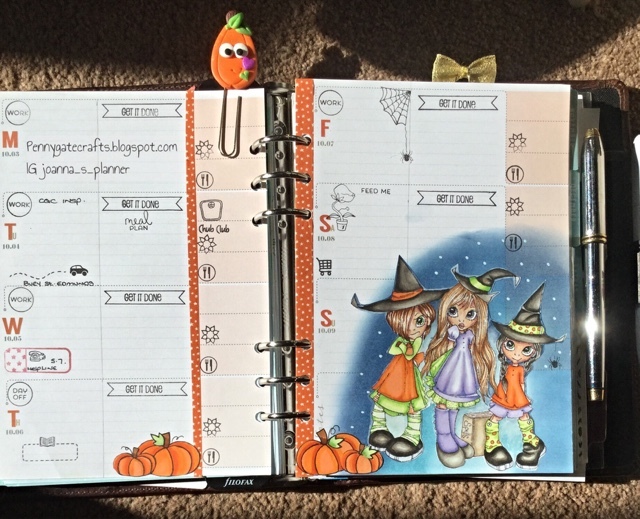 This week is the beginning of October and the beginning of the Halloween spreads. Halloween is a fabulous opportunity for decorating planners, it is an absolute gift of a theme. So much so that one week is just not enough....I am going for Halloween month. The background was achieved with a make up sponge and Stampin` up inks in Soft Sky, Pacific Point and Night of Navy. I am only using these because I demo for Stampin` up. Other inks work equally well, such as Distress Inks from Tim Holtz. The stars were simply added with a white marker. I can see I still have some pencil colouring to do for my `work` stamps and my `get it done` stamps. 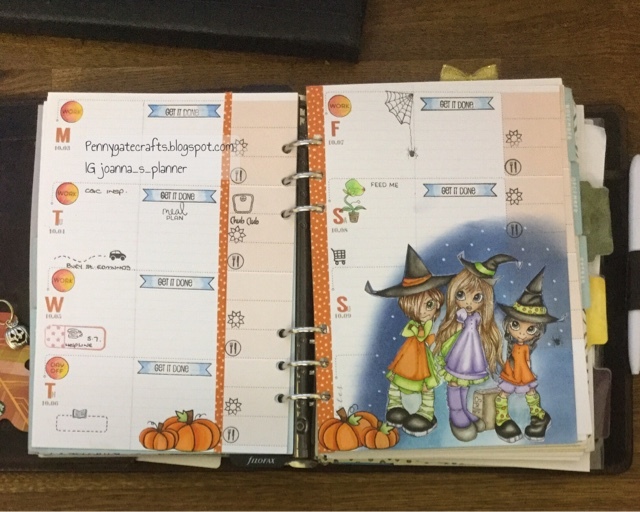 I have used the pumpkins from Lawn fawn once again...for such a tiny stamp set it is getting a lot of use at this time of year. My functional stamps are from Studio L2E, Technique Tuesday and some of my special stamps from Tiny Stamps Big Plans. I particularly love my Audrey 2 Stamp that reminds me it is time to feed the sour dough. 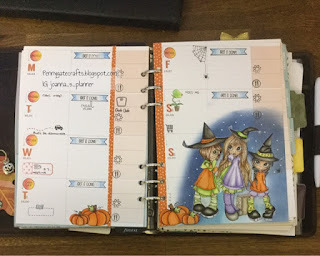 The planner stamp is also a TSBP as is my get it done and chub club personal order stamps.